BITSAT 2019 final Result has been Declared for MBA Course. 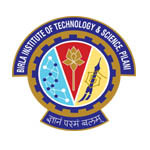 BITSAT is referred to as the Birla Institute of Technology & Science Admission Test. It is a university level entrance exam. BITSAT 2019 is organized by the BITS, Pilani. BITSAT 2019 Admit Card has been Available on 12th April 2019. BITSAT is an online mode exam means computer-based exam conducted for providing admission in various degree courses offered by Pilani campus, K.K. Birla Goa campus and Hyderabad campus of BITS. Candidates should be eligible and qualify the BITSAT 2019 Exam to get admission in various courses for the academic year 2019-20. Here, in this article details are provided of BITSAT 2019 including Application, Exam Dates, Eligibility Criteria, Exam Pattern, Admit Cards, Result, And Syllabus Etc. BITSAT 2019 final Result has been Declared for MBA Course. Click Here to Check Result Details. BITSAT 2019 Admit Card has been Available on 12th April 2019. Click Here to Check Admit Card Details. BITSAT 2019 Examination Test City Center Allotment has been Started now. Click Here to Check Details. Below the table is shown in which BITSAT 2019 Exam Dates and important events are given. Candidates should know the Application form release, Last date to submit the application, Application editing window, Allotment of exam center, Release of hall ticket and Admit list and wait for list release, etc., events. Candidates can get the BITSAT hall ticket 2019 via online mode through the official website. Before downloading, hall ticket candidate needs to book their slot for the exam. BITSAT 2019 Slot Booking has been Started on 5th April 2019. candidates can be able to book their slot. BITSAT 2019 Answer Key will be Available after the Exam. The BITSAT 2019 Application Form released on the 15th December 2018 (MBA) and the Last date to submit the application Form 24th February 2019. Candidates must fill and submit the application form before the due dates as mentioned. Through online mode, candidates can fill the application form. By each candidate, only one application form will be accepted. After filling all details, candidates have to upload there scanned images of photograph and signature in JPG/JPEG format. The photograph size should be between 4 KB to 50 KB, and signature size should be 1 KB to 30 KB. Candidates also have to submit three preferences for exam centers. No need to send copies of the filled application to the university. Candidates must keep printed copies with themselves for further needs. All candidates must pay application form fees as mentioned in the form. Payment can be done through debit/credit card and net banking. Once candidates pay application fees, it will be not refunded neither it will be transferred to the candidates back. For Indian exam centers, the application fee will be 2950/-for male candidates and Rs. 2450/- for female candidates. For Dubai exam center, candidates have to pay Rs. 4500/- (US$70). Payment can be done through debit/credit card and net banking. Students can also pay by cash payment through generated Pay-in-Slip. All candidates must know the full BITSAT 2019 exam eligibility criteria. To apply candidates should fulfill all criteria. Check whether you are eligible to apply or not. BITSAT eligibility was given which contains the Qualifying Exam, Subjects, Minimum Marks, and Appearing Candidates, etc. Qualifying Exam: Candidates should have passed 12th exams of 10+2 system in the year 2018 from any recognized board. Subjects: Candidates must have PCM subjects (PCB subjects for B.Pharma) with adequate proficiency in English. However, students with PCM subjects can also apply to the pharmacy. Minimum Marks: In the qualifying exam candidates have obtained 75% in PCM/PCB and also have scored minimum 60% marks in each subject. Appearing Candidates: Students appearing in the 12th exams in the year 2019 are eligible to apply. If students have taken more than one attempt in the 12thclass, then the latest performance will be considered. Candidates who are presently studying in BITS and any of its campuses are not eligible to apply. 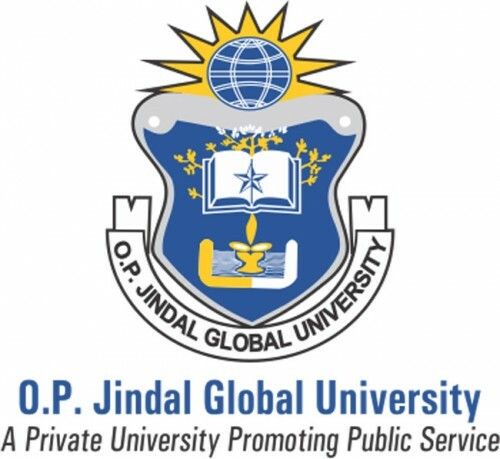 All candidates have to complete the paper within three hours; the exam will be conducted through computer-based online mode. In exam question asked will be objective type (multiple choice questions). Candidates are advised to get familiar with exam pattern as well as with syllabus. Exam Duration: The duration of the exam will be three hours. Mode of Exam: The exam will be conducted through computer-based online mode (CBT). Type of Questions: There will be objective type (multiple choice questions) asked in the exam. Sections: The exam will comprise of four sections, i.e., physics, chemistry, English proficiency & logical reasoning and Mathematics or Biology. Marking Scheme: Three marks will be provided for each correct answer. Negative Marking: One mark will be deducted for the wrong answer. No marks will be given for un-attempted questions. Gather all details related to BITSAT 2019 and syllabus prescribed by authority. Candidates must get familiar with syllabus and exam pattern given above. Prepare a timetable for study. Prefer NCERT books and previous year question papers for study. Don’t take the stress and stay healthy. Calmly prepare for your examination. Be prepared for the exam from BITSAT 2019 Syllabus. BITSAT syllabus is based on the current NCERT syllabus. Question asked will be from topics like Physics, Chemistry, English Proficiency and Logical reasoning, and Mathematics/Biology. Be confident and prepared for exam question asked will test your knowledge and IQ level. Units & Measurement, Newton’s Laws of Motion, Work and Energy, Kinematics, Impulse and Momentum, Rotational Motion, Mechanics of Solids and Fluids, Gravitation, Waves, Oscillations, Electrostatics, Heat, and Thermodynamics, etc. Algebra, Two-dimensional Coordinate Geometry, Differential calculus, Trigonometry, Three-dimensional Coordinate Geometry, Integral calculus, Probability, Ordinary Differential Equations, Statistics, Vectors, Mathematical modeling, and Linear Programming. Authority will publish the BITSAT 2019 Results through online mode from the official portal. The result will be announced on the next day of the exam date. The BITSAT 2019 Admit Card has been Available on 12th April 2019. No candidates are permitted to repeat the test for the same year. Candidates are suggested to take a printout of the result for further admission process. Candidates who are interested in the BITSAT exam are required to submit an admission application with 12th marks and preferences. Candidates have to submit the Application between the first weeks of May to the third week of June 2019. A merit list will be prepared on the bases of candidates score marks in the entrance examination and it be will be prepared separately for various courses. A final list for Admission will be released in the third week of June 2019. The seat will be allotted by marks scored in the entrance exam, category, filled preferences and availability of seats. Exam centers are given of BITSAT 2018 for reference purpose. Exam center will be issued by conducting authority on the official portal. Candidates will be able to check through online mode. For any other queries about BITSAT 2019, you may leave your queries below.